7 Best Health Benefits of Peanut Oil: Say Good Bye Many Diseases! 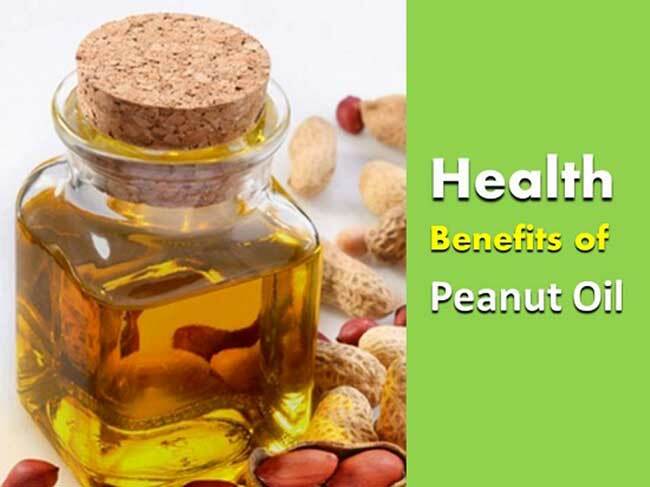 Home » Health Benefits » 7 Best Health Benefits of Peanut Oil: Say Good Bye Many Diseases! Peanut oil is a kind of vegetable oil, normally applied in cooking. It has some varieties of processed, unprocessed, cold-pressed and roasted as well as have slight variances in health benefits and nutritional value. People mostly use the roasted type of peanut oil in cooking for getting the wonderful flavor of the food, besides it is more healthier than other kinds of oil. This oil is most regularly used in Southeast Asian cuisine like China, Laos, Vietnam, Sri Lanka, and Cambodia. The best health benefits of peanut oil come from its fatty acids like stearic acid, oleic acid, linoleic acid, and palmitic acid. Whereas unstable levels of fatty acids can be risky for our health, but peanut oil contains a safe balance of fatty acids and other nutrients. Read More: Health Benefits of Asparagus: Only This Vegetable Can Manage 10 Health Issues! Peanut oil contains less cholesterol than other vegetable oils. Cholesterol is the main factor to complicate heart conditions like atherosclerosis. Reducing cholesterol level from your body can stop different health problems. Peanut oil not only can reduce cholesterol, but also can reduce your existing levels of cholesterol by having its plant sterols. These phytosterols really prevent to absorb cholesterol in the gut and stomach, which can lower your cholesterol levels by 15-20%. Peanut oil contains polyphenol antioxidants like resveratrol. This compound removes free radicals, which are unsafe and responsible for occurring different diseases in the body, as well as cancer. Studies have proven that peanut oil can reduce the possibility of rising cancer. Lowering the possibility of coronary artery disease can reduce strokes and heart attacks. Peanut oil has oleic acid that increases the “good cholesterol level” (HDL) in the blood. This useful cholesterol also helps to decrease bad cholesterol (LDL) and lower the possibility of heart attack and strokes. Resveratrol has one more vital role in the body. It works with various hormones in the body that disturb your blood vessels, like Hypertension. Resveratrol neutralizes that hormone effects and drops your blood pressure level, as well as decreases the circulatory systems pressure. Like other vegetable oils, Peanut oil contains a high amount of vitamin E, which is vital for you. It is one of the most significant in skin health, protect against free radicals that occur wrinkles, marks, and other premature aging signs. Vitamin E in peanut oil keeps your skin healthy and looking young. Alzheimer’s is one of the common and terrible disorder that makes people be upset, however, resveratrol is a kind of multi-purpose antioxidant, which help to decrease the oncoming mental disorders like Alzheimer’s and dementedness. Free radicals break down the neural paths in the brain, but resveratrol can slow or stop that procedure successfully. The final health benefits of peanut oil involve the amazing improvement of your immune system. Virus-related infections are most susceptible to this antioxidant, therefore include peanut oil in your daily diet. It will keep you healthy by speeding your white blood cell creation and also will keep away any foreign agents in your body. Although different types of fatty acids in peanut oil are most useful, however, use this only in moderate volumes. Keep in mind, they are still fats, and high in calories. Don’t use an excess amount of peanut oil in cooking, as it can occur to weight gain. Overweight is directly connected to different health risks, therefore be careful and have your meals sensibly!